17 Dec 2018 --- A multi-sectoral approach that goes through the schooling system is key to reducing iron deficiency in girls, according to a project trialed in Indonesia and published in the British Medical Journal (BMJ). Seeking to implement a successful program that would be scalable in other geographic regions, the team began a project in West Java, Indonesia, which followed the World Health Organization (WHO) recommendation of weekly iron-folic acid supplementation (WIFAS) to reduce anemia in adolescents aged 10-19 years and women of reproductive age. “Adolescent Nutrition programs, and specifically weekly iron-folic acid supplementation programs, are scalable especially when they involve partnerships and collaborations with both the health and education sectors. When anemia becomes everyone’s issue – academic performance, productivity and health – multiple sectors are more likely to become engaged,” Marion Roche, Senior Technical Advisor, Adolescents’ & Women’s Health & Nutrition at the NGO Nutrition International, tells NutritionInsight. Iron deficiencies are prominent in girls worldwide. A recent report by the UN Food and Agriculture Organization (FAO) identified iron deficiency as one of the most prevalent micronutrient deficiencies in Europe and Central Asia, with the Caucasus subregion showing the highest level among women – 34.4 percent – followed by Central Asia – 33.8 percent – and the EU, at 18.7 percent. Micronutrient deficiencies are a form of malnutrition, which, in general, is a significant obstacle to socioeconomic development due to its impact on the health of the population, learning ability and productivity. These deficiencies contribute to a cycle of malnutrition, reduced development prospects and poverty, often affecting already-disadvantaged groups. Iron deficiency anemia is now recognized as the number one cause of lost disability-adjusted life years (DALYs), a measure of overall disease burden, in adolescent girls globally, the study reports. Anemia has three significant consequences for adolescent girls: decreased school performance; loss of productivity; and decreased current and future reproductive health. 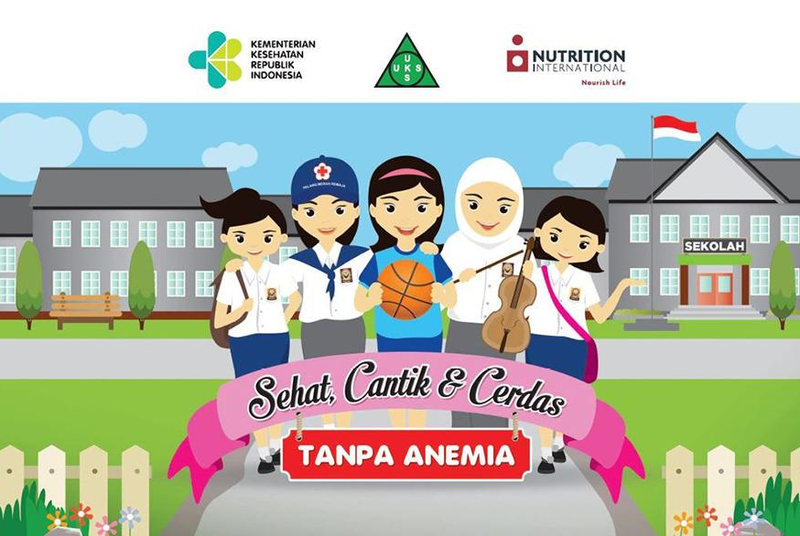 Screening data from the junior high school students in West Java, the most populous province with 47 million inhabitants, indicated an anemia prevalence of 50 percent. Click to EnlargeThe campaign image used by the weekly iron-folic supplementation program in Indonesia. In Indonesia, adolescents rarely access preventive health services, but over 86 percent are enrolled in secondary school. Thus, school-based interventions are seen as ideal to reach adolescent girls and are cost-effective in other settings. The adolescent nutrition WIFAS demonstration project was conducted between 2015 and 2018. It aimed to show how the revised national WIFAS policy could be introduced through the school health program, supported by four ministries: Ministry of Health, Ministry of Education and Culture, Ministry of Religious Affairs and Ministry of Home Affairs. The project outcomes estimate that the demonstration project might have contributed to preventing 4,071 cases of anemia, by reaching 52,000 adolescent girls with the WIFAS scheme in the two districts. The multisectoral collaboration was driven by a change in a policy, as well as an existing mandate for collaboration, political commitment at all levels and by overall coordination across sectors by the non-governmental organization; Nutrition International. The study also fostered informal relationships which Roche explains was also key to the success. “One of the most surprising things during the research was that the joint training was credited with building social and informal relationships, which ended up being one of the biggest enablers to collaboration. For example, the teachers and health workers formed WhatsApp groups to remain connected socially, but teachers also were instantly connected for program support when needed. Health workers also had better access to attendance data, which helped them in forecasting supplies for the project,” she says. Click to EnlargeIn West Java, the most populous province with 47 million inhabitants, there is an anemia prevalence of 50 percent. In this way, the project also highlights the importance of engaging with the culture at hand. In Indonesia, for example, the Islamic-Indonesian term and concept of silaturahmi is very important for building personal relationships. It is based on the Islamic value of goodwill and fellowship, and the ability to extend personal ties of friendships to strengthen fraternity and mutual solidarity. Working in a multi-sectoral and collaborative manner enhanced this feeling among the professionals, the project leaders say. Nutrition International is also aiming to reduce anemia through WIFAS in other countries such as Ethiopia, India, Kenya and Pakistan. 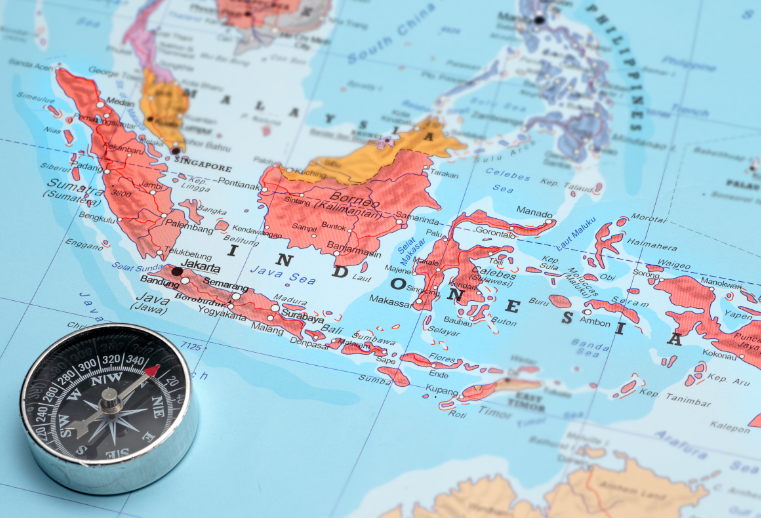 Leading change in countries such as Indonesia, where the rate of anemia is high, could help foster reduction in other locations. This study highlights how successful collaborations can be more effective than any one sector working alone and highlights the benefits of working through the schooling system. “The program has shown to be effective in reducing anemia and the school-based adolescent nutrition program also provides an opportunity for adolescent girls and boys to learn about their health, growth and nutrition. This can also involve sexual reproductive health education and support for menstrual hygiene management to support girls in being in class more days of the month,” says Roche. The recent FAO report which also highlighted the high instances of iron deficiency in girls also notes that a multi-sectoral approach could improve attempts to lower malnutrition amounts by aligning policy with better quality, disaggregated data, for example. A UK study found that a quarter of women at childbearing age had an iron deficiency and called for improvements in dietary quality alongside supplementation and fortification. 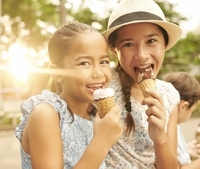 Earlier this year, a Nestlé study found that nearly 20 percent of infants (6 to 12 months old) are not getting enough iron in their diet, putting them at risk for suboptimal cognitive development.